The Mpenjati Nature Reserve is situated on the KwaZulu Natal South Coast 20 km south of the popular holiday destination of Margate. The beautiful reserve lies situated around the Mpenjati River Lagoon, and extends seawards 500m, serving to protect the unique fossils found there. The 66 hectare reserve is managed by KwaZulu Natal Wildlife, and consists of a system of interconnecting riverine and floodplain marsh habitats, extensive areas of coastal forest, coastal grasslands and open coastline, as well as river estuary. The Mpenjati River Lagoon has also gained reputation as a popular venue for a variety of water-based activities which include fishing, board sailing, boating, canoeing and swimming. Mpenjati features two picnic sites situated on each bank of the Mpenjati River, as well as barbecue facilities, ablution blocks, and a children's playground. The Mpenjati Reserve is a prime birding destination , as well as providing decent opportunities for hiking. Along the beach and river estuary a number of less common bird species may be spotted including Water Thick-knee, Osprey, Swift Tern, Half-collared Kingfisher, Kittlitz's Plover, African Black Oystercatcher, and Giant Kingfisher. Birds inhabiting the coastal dune forest include, Black-bellied Starling, Red-capped Robin-chat, White-browed Scrub-robin, Brown Scrub-robin, Black-backed Puffback, Forest Canary, Green Twinspot, Orange-breasted Bush-shrike and Grey-headed Bush-shrike. 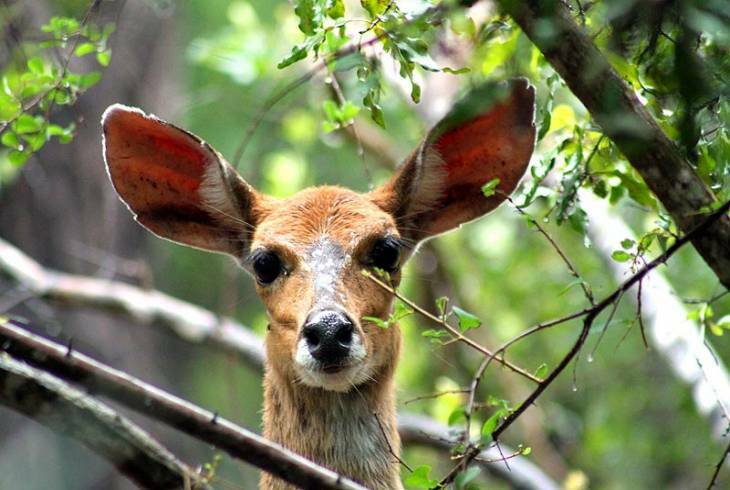 The Ipithi Trail which is just over a kilometer in length travels along the south bank of the river, and allows visitors the occasional opportunity to sight blue, red and grey duiker as well as bushbuck. The Yengele trail on the northern back is a short distance under two kilometers, and leads hikers through one of the KZN South Coast's largest dune forests. Observation platforms ideally placed along both trails, provide magnificent views of the lagoon, as well as the wetland system and the coast. In a secluded, tropical garden you will find two lovingly decorated double suites, each with kingsize bed, en-suite shower/WC, sitting room and thatched patio overlooking the sparkling rock pool. Some 30 km south of Port Shepstone, on the lush Kwa-Zulu Natal South Coast is the tiny hamlet of Palm Beach. Nestled in the un-spoilt indigenous forest of this area is Forest Homes. The home is in a security village with a large swimming pool also a small pool for children, play park with a small superette and restaurant, one minutes walk from beach. Mpenjati Nature Reserve Information and Nearby Accommodation.